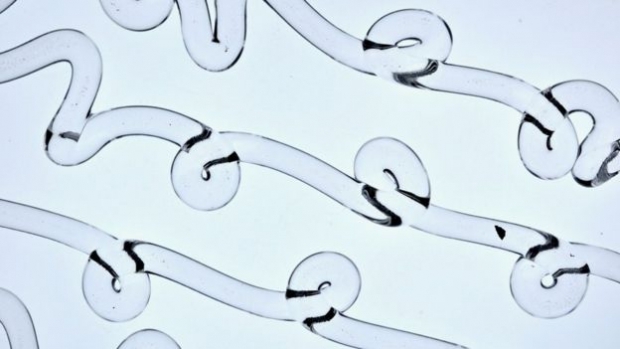 Mediated Matter's collaborator Dr Pierre-Thomas Brun (MIT Mathematics) discusses new discoveries in fluid dynamics of viscous liquids enabled by Mediated Matter's Glass Printing technology. From the website: US researchers have developed what they call a "molten glass sewing machine" by combining 3D printing of glass with a mathematical model of how a liquid thread forms different types of loop. When the nozzle releasing a stream of molten glass is raised above a certain level, that thread begins to wobble. It traces out waves or loops - which the team found could be controlled by adjusting the speed of the nozzle. Those shapes then become the building blocks for intricate, 3D objects. Engineers at the Massachusetts Institute of Technology pioneered a method for glass 3D printing in 2015. They then started to work with mathematician Pierre-Thomas Brun, who has studied the fluid dynamics of liquid "ropes". The results are documented in a video, which the team presented in the American Physical Society's "Gallery of Fluid Motion" in November. Read more here.